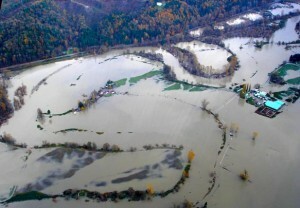 Ames Creek Flood, Snoqualmie Valley, November 2006. Photo credit: Stewardship Partners. 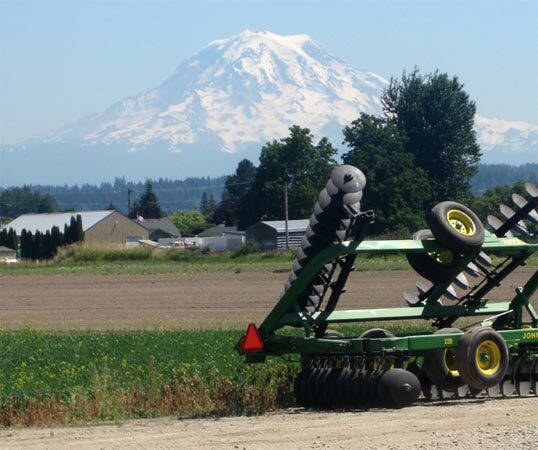 Washington state is losing farmland at a rate of about 21,600 acres per year. That’s the equivalent of 1.7 million bushels of Palouse wheat. One hundred thousand people are moving to Washington annually. Changing weather patterns have modified the seasonal distribution of water in ways that significantly impact farming. Local food movements may feel strong here but they are actually fragile. To continue to have local foods, we have to have local farmland. We must prioritize a new, more forward-thinking approach to preserving agricultural land that balances food production with growth pressures and changing climate. In the early 20th century, throughout the United States, zoning codes designated land in floodplains for agriculture. Urban development was impractical where water inundated large areas. Over time, communities built systems of levees and dams to protect agricultural land. Reducing flooding caused some lost soil fertility, but it didn’t stop production of food. A massive change in floodplain use was pushed forward by the 1968 National Flood Insurance Act, a federal program to provide low-cost insurance for buildings in the floodplain. The act facilitated rapid and extensive loss of farmland to the powerful economic engine of urban development. Further, with federal changes in the agricultural commodities program in the early 1970s, cheap food came from an average of 1,500 miles away. The progression continues 40 years later. 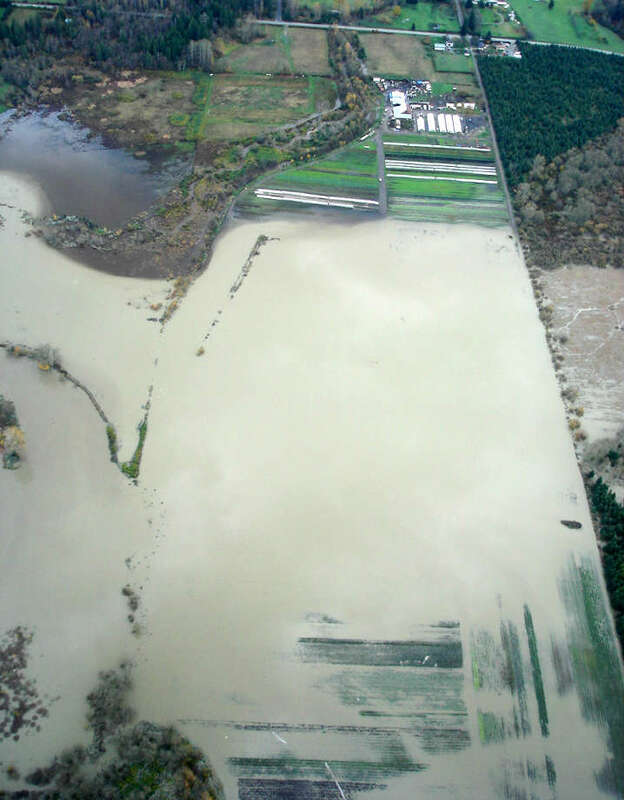 The challenges of farming in floodplains are now seriously exacerbated by changing, unpredictable weather patterns. River volume fluctuations in both timing and quantity have been dramatic, impacting the ability of valley farmers to grow food. 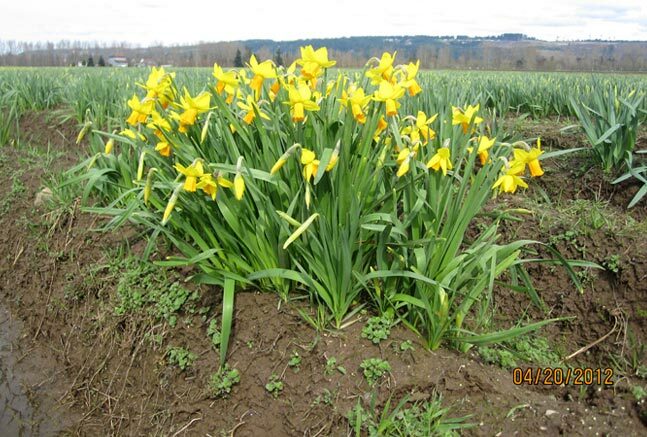 Notably, in the summer of 2011, Puget Sound farmers planted lettuce late because of cold, wet ground. It grew slowly because of the coldest summer in decades and, in July, bolted when warm nights abruptly returned. Berries ripened all at once and had a short season; the end of summer brought an abundance of squash. With typical resilience, farmers sold what they grew when it was available and consumers appreciated it as it came. But the economic impacts of the season were severe. A strategy, willingness and commitment to proactively sustain a local food supply within this difficult context do not currently exist. However, there is hope that new paradigms in land use, agriculture and water resource management will ensure long-term community food security. Planners, water resource managers, disaster managers and economists must acknowledge the combined impacts of zoning, population increases and climate change to agriculture and implement new responses to pressures on farmland in a dynamically changing world. Using transfer of development rights, or TDR, programs — in which rights to develop land are moved from farmland to cities. Creating conservation easement programs to reserve properties in diverse locations and microclimates for farming. TDR programs have already been established in some Washington counties, and cities have been encouraged to participate. With more flexible thinking many other techniques for building a better agricultural land base can be developed. Proactively responding to variable weather patterns must happen in advance of more severe changes. Adaptive practices can range from water conserving techniques such as gravity-fed drip irrigation, intercropping and contour planting. These lower technology solutions can forestall more drastic measures like building new dams and levees. Indeed, lower cost, lower technology methods widely practiced and developed in shorter timeframes are agile responses that cost less than huge infrastructure. We need to accept that the natural world is not static. While we have lived and planned our built environment and economy on perceived stability in natural systems, we are now learning that the concept of normal may be a false assumption. We may never again be given the grace to live in defiance of nature. We need to preserve agricultural land to sustain community food systems and to live with and adapt to a dynamically changing world. 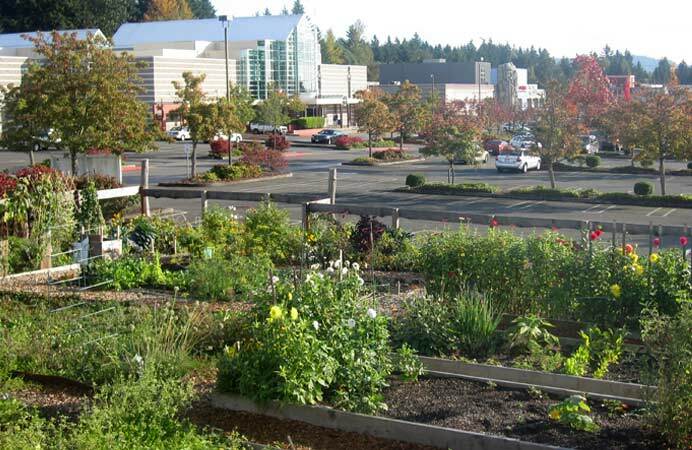 We Americans and, more specifically, the hugely creative residents of the Pacific Northwest, have the ingenuity to envision and secure a different future of food. 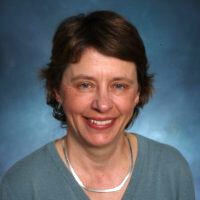 Kathryn Gardow, P.E., is a civil engineer, and Joanne Hedou is a fluvial geomorphologist. Both live and work in Seattle. Transfer of development rights programs are NOT a vehicle for permanent protection of farmland. The best use of TDRs is within urban areas or urban growth areas to allow more density in the cities/towns and conservation of open space, wetlands or other lands in the expansion process. There are very few TDR programs that have been used successfully in agricultural zones. The most cited program is near metropolitan Washington, D.C. where the average sized farm is 25 acres. There is now discussion about allowing “buy back” of the TDRs to develop the lands and eliminate the farms. As we understand it, only Purchase of Development Rights (PDR) programs provide protection from future conversion to other uses for any land. Municipalities hold the PDRs, rather than land trusts or NGOs. It would require a court order to remove a PDR from the title of the land, and to our knowledge this has not happened. In the NW corner we must permanently preserve all farmland that is left if we want a secure food production system for the future. Transfer of Development Rights (TDR) and Purchase of Development Rights (PDR) programs are a tool to place conservation easements on farmland to keep the property under permanent protection. 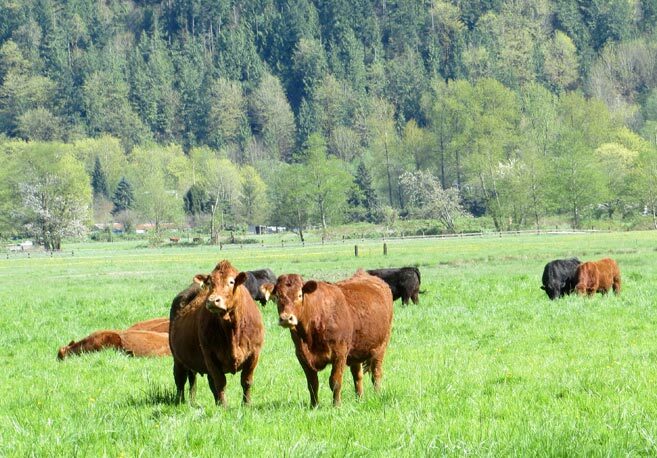 The conservation easement removes the ability for the underlying landowner to develop the property for other uses not allowed in the easement. Enforcing and ensuring the easement conditions are met does require another organization such as a County, non-profit land trust, or the State or Federal government to monitor the easement in perpetuity. 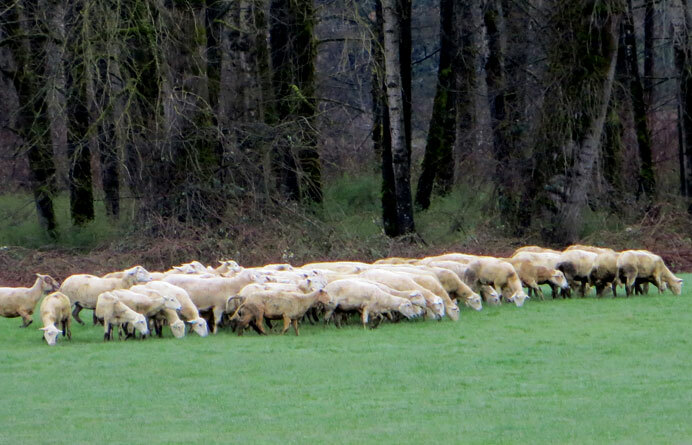 Placing conservation easements on farmland have been used successfully in Washington State. Any future loss of the farmland saved under either program is remote, but it could always happen if a landowner is willing to pay enough money to convert the property back to developed uses or the easement is not regularly monitored.